Bord na Móna Growise John Innes No.1 compost is not suitable for ericaceous plants such as Rhododendrons, Azaleas and Camellias. For this group of plants you should use Bord na Móna Growise John Innes Ericaceous or Bord na Móna Growise Ericaceous Compost. Bord na Móna Growise John Innes No.1 compost contains all the nutrients your plants need for the first 3-4 weeks in their new setting. From then on feed them every 7-14 days. Bord na Móna Growise John Innes No.1 compost contains specialised nutrients to encourage growth of young plants and rooted cuttings. The fine texture encourages strong roots and protects sensitive seedlings. 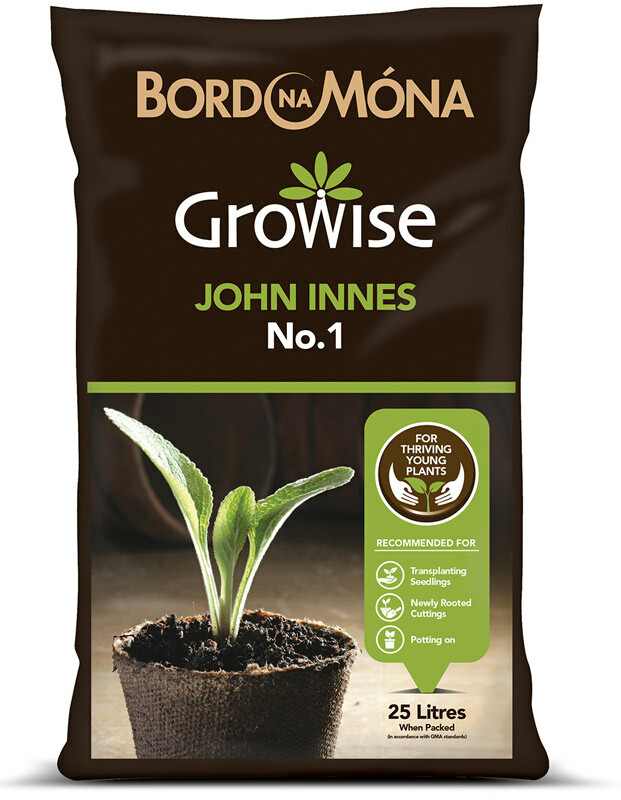 For best results during the next stage of plant growth (more established plants), use Bord na Móna Growise John Innes No.2. Bord na Móna Growise John Innes No.1 compost may be used with both indoor and outdoor containerised plants. Always use the compost straight from the bag and do not mix it with other materials before use. Bord na Móna Growise John Innes No.1 compost can be used for pricking out, potting on, pricking off seedlings and rooted cuttings. Pricking off can be done once seedlings have at least one pair of true leaves. Take a clean, suitable container and loosely fill it with Bord na Móna Growise John Innes No.1 compost. Gently firm the compost by tapping the pot to remove air pockets. Make a series of holes in the compost around 0.5cm in diameter about 5 cm (2 inches) apart, depending on the size of the seedling. 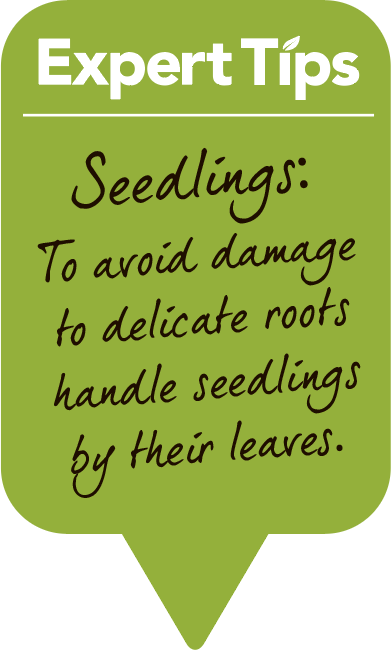 Lift each seedling gently by its leaves (not roots), place it carefully into one of the holes. Firm the compost around it, making sure not to damage the stem. Water the compost gently using a watering can with a fine rose. Do not over water as this may cause leaching of nutrients or water logging. Once watered, the tray or pot can be left in a sunny spot but away from direct sunlight. Take a healthy plant and make a clean, angled cut below a leaf. Remove the lower leaves from the cutting. If using rooting powder, dip the end of the cutting into a rooting powder following manufacturer’s instructions. Loosely fill a pot with Bord na Móna Growise John Innes No.1 compost, make a hole in the compost and insert the cutting. Gently firm the compost around the cutting. Water the cutting using a watering can with a fine rose Cover the cutting and pot with a clear plastic bag with punched holes to retain moisture. Once watered, the tray or pot can be left in a sunny spot but away from direct sunlight. Water the pot again when the compost feels dry, or if the cutting starts to wilt. Partly fill the new, larger pot with Bord na Móna Growise John Innes No.1 compost. Remove the plant from the old pot. Place the plant in the new pot, making sure the plant is at the same level as it was in the original pot. Fill the pot with compost, firming lightly. Water the compost gently using a watering can with a fine rose. Do not over water as this may cause leaching of nutrients or water logging.